Shopping for DC Comics Vehicles: Die-Cast Metal? Host the greatest superhero battle of all time in your very own living room! Based on DC Comics, these Hot Wheels are each stylized off various popular DC Comics characters. Ages 3 and up. 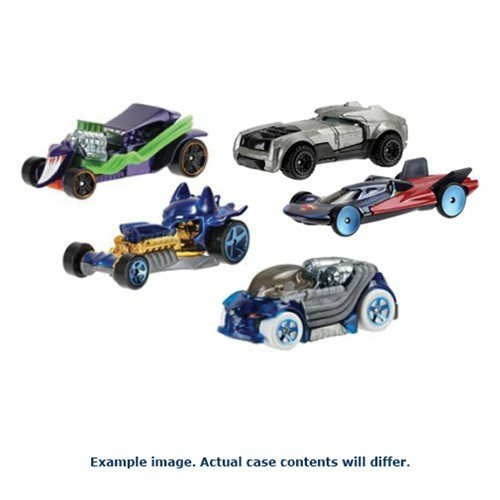 This DC Comics Hot Wheels 1:64 Character Car 2017 Wave 2 Case (999H) includes 8 individually packaged vehicles.